Paying For College The income gap between people with a college degree and those without keeps growing — but so does the price tag for a college education. 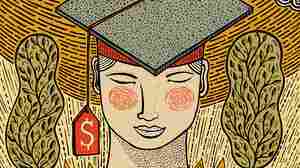 NPR explores the complexity of college financing and how families are coping. May 2, 2014  This Spring, Tell Me More and Morning Edition have helped listeners navigate the higher education money maze. David Greene and Michel Martin do a wrap of the "Paying for College" series. May 2, 2014  Almost half of college freshmen surveyed last year had enrolled in schools that weren't at the top of their list — not because they didn't get in, but because of costs. May 1, 2014  Native Americans face unique challenges to paying for college, including high poverty rates. 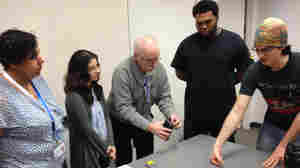 We hear how tribal and other colleges are finding new ways to help these students succeed. Is It Still College Without Football? May 1, 2014  Temple University in Pennsylvania and the New College of Florida are keeping costs low by cutting amenities and some varsity sports. 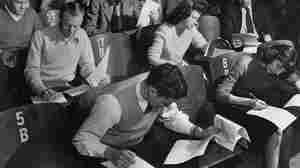 But will running this play make them less attractive to applicants? 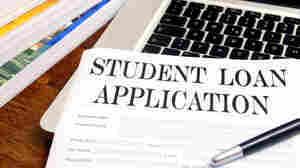 April 24, 2014  Some of the factors keeping low-income students from getting into college aren't always obvious to the public, higher education insiders tell Morning Edition's David Greene. April 23, 2014  Morning Edition co-host David Greene talks to Suzanne Mettler of Cornell University, author of the new book, Degrees of Inequality: How the Politics of Higher Education Sabotaged the American Dream. April 16, 2014  In 2005, a group of anonymous donors in Kalamazoo launched a bold program. It pays for graduates of the city's public schools to attend any of Michigan's public universities or community colleges. April 11, 2014  Repaying college debts prevents many Americans from investing in homes or retirement. The impact can add up — for individuals and the economy as a whole, a researcher says. April 10, 2014  When Morning Edition asked millennials what their concerns are, almost two-thirds responded college debt. David Greene talks to three women, who are wading through massive college debts. April 6, 2014  College costs the same for both genders, but women spend a higher portion of their salaries on paying off debt than men because they make less. It starts as soon as they enter the workforce. April 3, 2014  You got in! But just how much money is that school offering you? Financial aid award letters can be confusing, so we've put together a sample letter — and translated it into plain English. April 2, 2014  An apprenticeship program in New York City helps lower-income and minority students break into advanced sciences. For one, the love of the stars was motivation to tackle the tough field of astronomy. March 27, 2014  Students are taking on record levels of debt to pay for college. 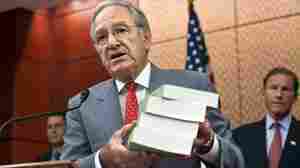 Sen. Tom Harkin, D-Iowa, says it's a drag on the economy and is calling for changes to the federal student loan system. 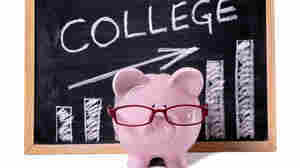 March 25, 2014  Many high school seniors are hearing from colleges about admissions and financial aid. 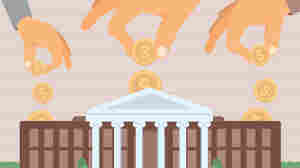 Scott Juedes, director of Student Financial Services at Wellesley College, gives tips on decoding aid offers. March 25, 2014  When calculating cost, the sticker price is key, right? And aren't federal and private loans pretty much the same? Review some common mistakes people make in assessing the price of college. March 25, 2014  Over 20 years, the average burden for a four-year college graduate in the U.S. has gone from $9,000 to $30,000. 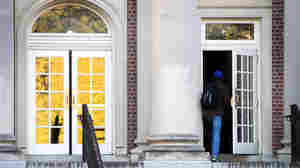 The percentage of students with debt has shot up from about half to nearly 70 percent. March 18, 2014  In the decades following World War II, many American families had a lot of help paying for a college education. But in the 1970s, inflation spiked and public policies began to change. March 17, 2014  How did college get so expensive, and do families have the information they need to manage costs? Stanford University economist Caroline Hoxby and former college dean Marcia Cantarella discuss. 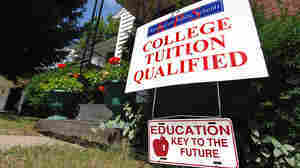 March 17, 2014  The cost of college in the United States keeps climbing, forcing many students and their parents to rack up hefty debts to pay for a college degree. March 17, 2014  After adjusting for inflation, the cost of tuition more than tripled between 1973 and 2013. 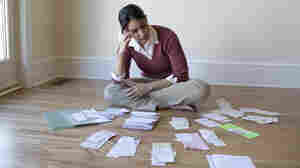 That reality has been forcing more and more students to take on staggering debts.